Give the gift that makes your mouth water! 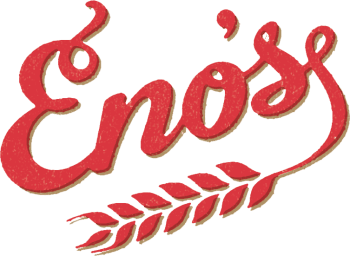 Located smack-dab in the middle of Bishop Arts District, Eno’s Pizza Tavern takes pride in being your place to share a casual meal with family and friends in laid-back Oak Cliff. Using only the best farm-to-table ingredients and the friendliest staff, we have an atmosphere that’s as warm as our delicious fresh pizzas and pasta. At Eno’s, whether it’s date night, family dinner, or a weekday lunch, you are welcome at our table. Our love of our neighborhood is only secondary to our love of incredible food — and we live to share both with you. Come on by and sample our piping hot pizzas, farm-fresh salads and ice-cold craft beers today. Check it out! Our craft beer menu is updated real-time.